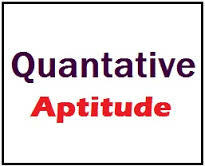 Dear Readers, Practice Quant Quiz for RBI Grade B officers exam and IBPS PO based on latest pattern. 5) If x = y or the relationship can't be established. The pie–charts show the percentage quantity of fruits available at two fruit vendor. 6.What is the difference between the quantity of Guava available at vendor B and that at vendor A? 7. If the price of Mango is Rs. 130 per kg, Apple is Rs. 140 per kg and Orange is Rs. 80 per kg, then what is the ratio of their cost at vendor A? 8. The quantity of Mango available at vendor B is approximately what percent of the quantity of Mango available at vendor A? 9. If the price of Mango is Rs. 130 per kg, Apple is Rs. 140 per kg and Orange is Rs. 80 per kg, Grapes is Rs. 115 per kg and Guava is Rs. 68 per kg at both vendor A and B then what is the difference between the cost of all fruits at vendor A and that at Vendor B? 10. The quantity of Orange available at vendor A is approximately what percent more than that of Apple available at vendor B?